Man vs Machine: IBM’s Watson Computer Enters Jeopardy! DALLAS, Dec 14, 2010 / — This might sound science fiction but it is real life; in fact, it is happening in our lifetime. IBM’s “Watson” Computing System will challenged the all-time greatest Jeopardy! Champions. 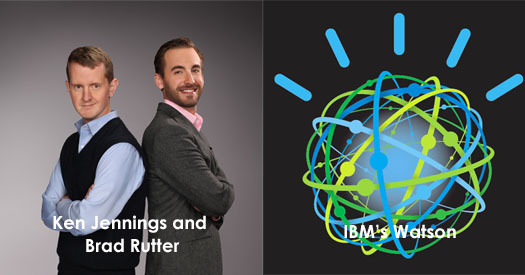 IBM and America’s Favorite Quiz show® Jeopardy! today announced that an IBM computing system named “Watson” will compete on Jeopardy! against the show’s two most successful and celebrated contestants – Ken Jennings and Brad Rutter. The show has a decades-long broadcast history in the United States since its creation by Merv Griffin in 1964. It first ran in the daytime on NBC from March 30, 1964 until January 3, 1975; concurrently ran in a weekly syndicated version from September 9, 1974 to September 5, 1975; and later ran in a revival from October 2, 1978 to March 2, 1979. All of these versions were hosted by Art Fleming. Its most successful incarnation is the Alex Trebek-hosted syndicated version, which has aired continuously since September 10, 1984, and has been adapted internationally.